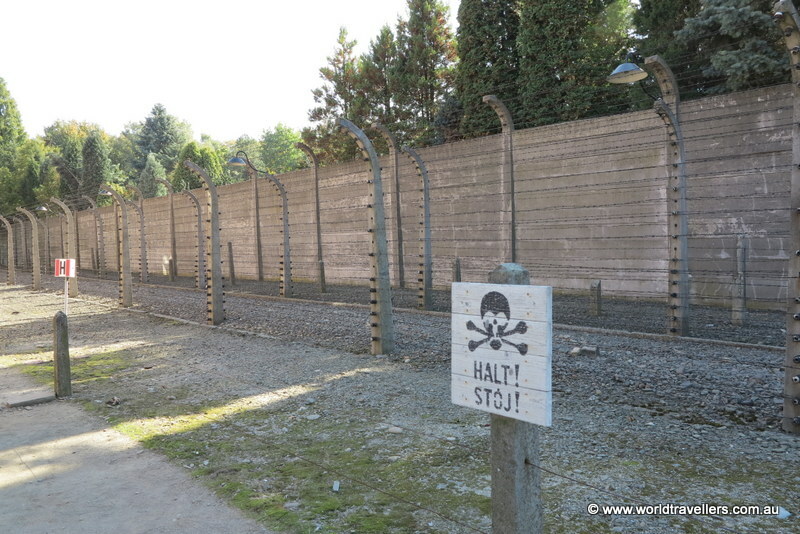 Auschwitz, a place of horror, death, torture, upset and control. 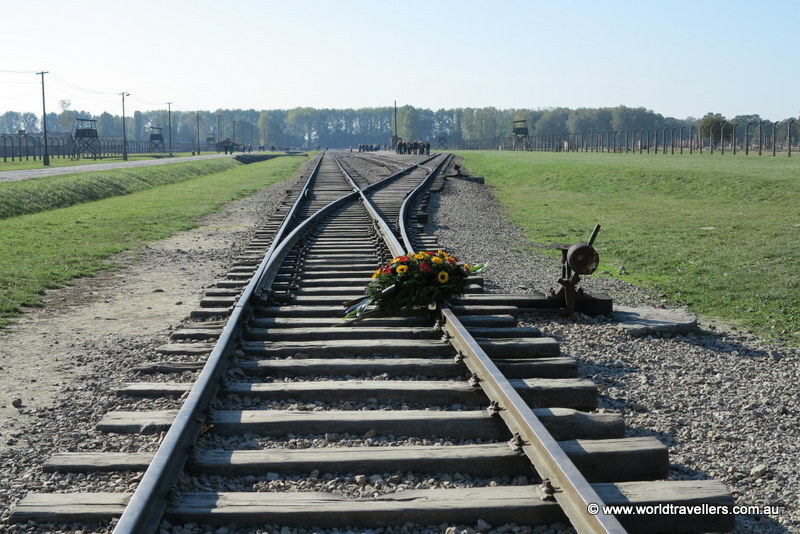 As we were so close, we thought that we must visit Auschwitz concentration camp. 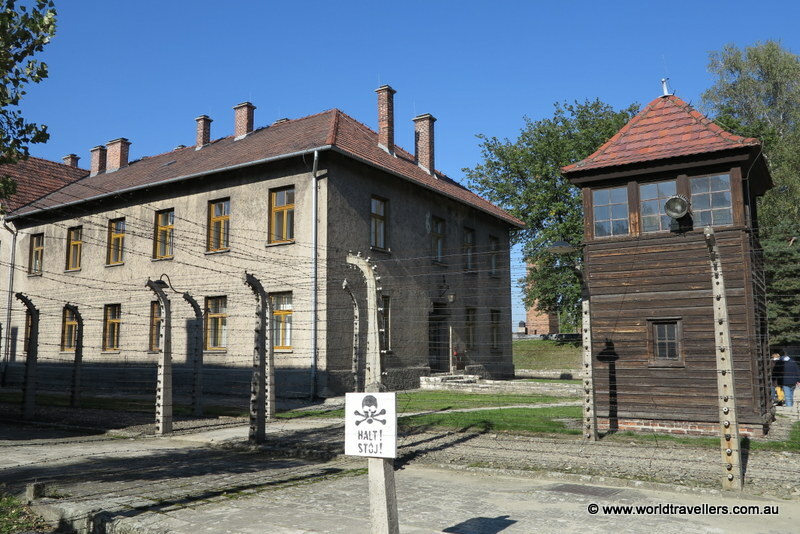 Saying farewell to Karolina and Geni, we headed off towards Auschwitz, which was just a small detour from our next destination, Budapest. Our Budapest host, Rita, said she was not going to be home until 11:15PM so that gave us time to see Auschwitz I and II, which was great. The English tour started at 11AM. 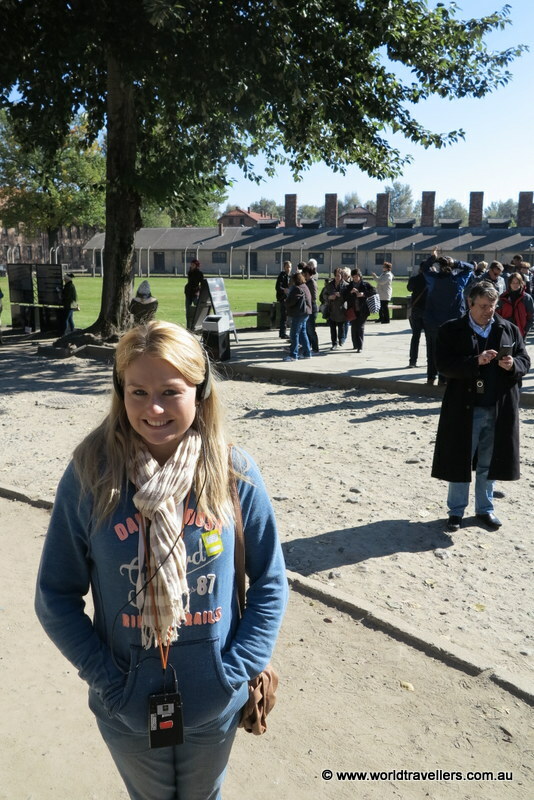 We were split into groups of about 40 people, all of us were giving headphones so that we could hear our guide as we walked around the grounds. Auschwitz I was first and the tour was predicted to be around an hour and a half. 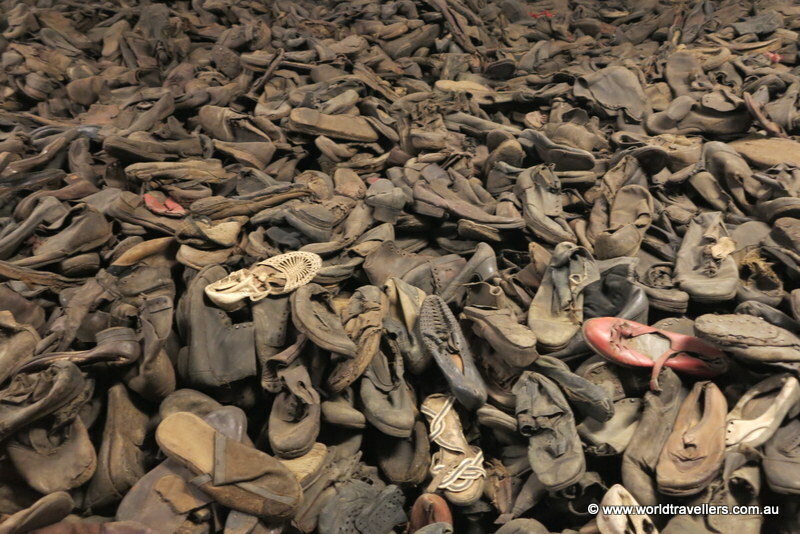 Walking through the rooms, one by one, it was getting more and more disturbing and upsetting. 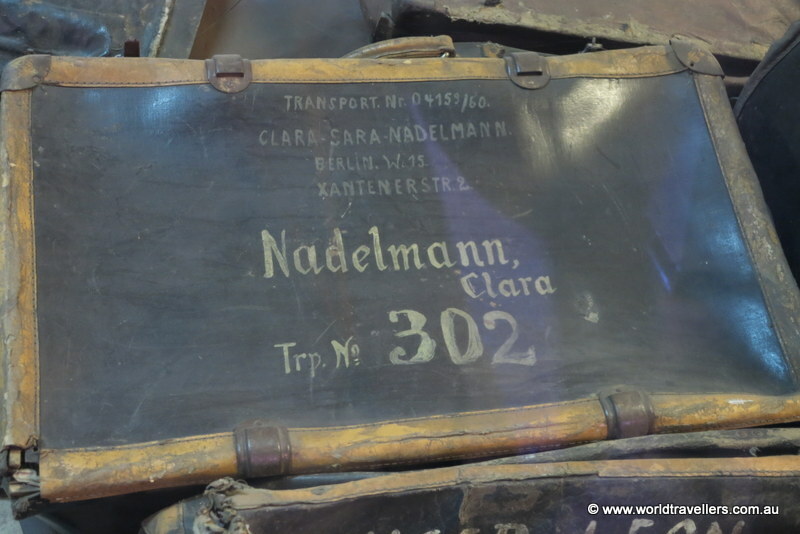 In one of the rooms you could see a cylider, which contained the pellets used in the gas chambers and in another room there were piles and piles of suitcases and shoes, which survived the fire. 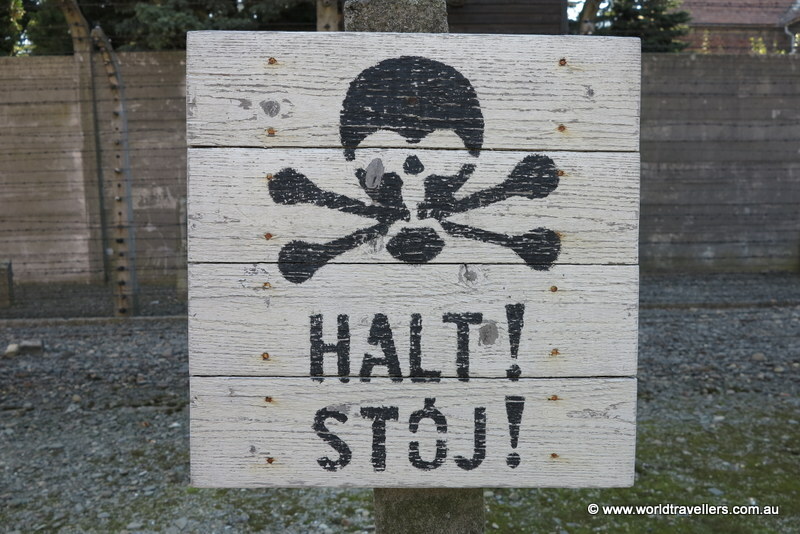 The grounds were very dark and depressing, everywhere you looked there was barb wire, electric fences and shadowed buildings. 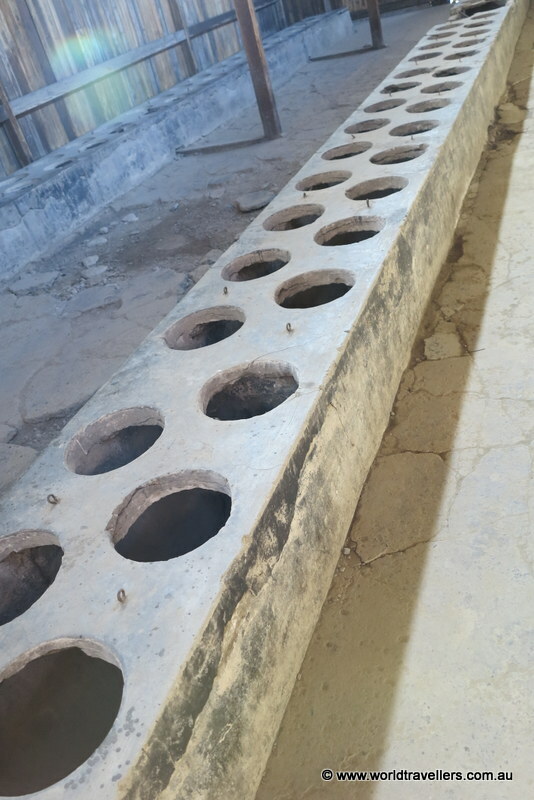 The next place we visited was the shooting wall, a place where people who had tried to escape, betrayed orders or just for the sake of it were lined up and shot until dead. Other torture techniques used included standing and starvation. Standing consisted of people having to stand in a very small quarters all night, work on their feet all day and then go back to their standing cell. Needless to say that the human body cannot take much of this before it gives up and stops working. 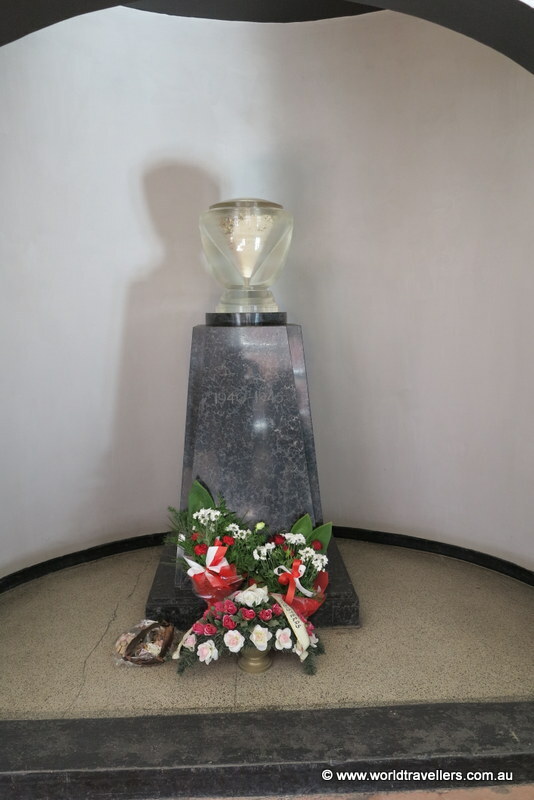 Starvation was another common choice of torture where you were put in a room and starved to death. In the winter children who were late to work would be placed outside barefoot in the snow, which you can imagine would be so painful. And then if someone escaped and were not found then the guards would randomly kill people to scare others from attempting to escape. 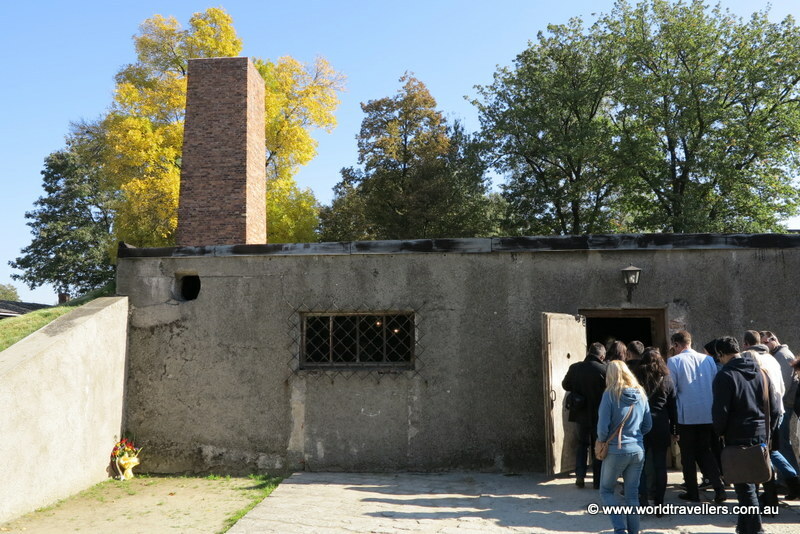 The final stop in Auschwitz I was the gas chambers. This was probably the hardest of all things that we saw here. 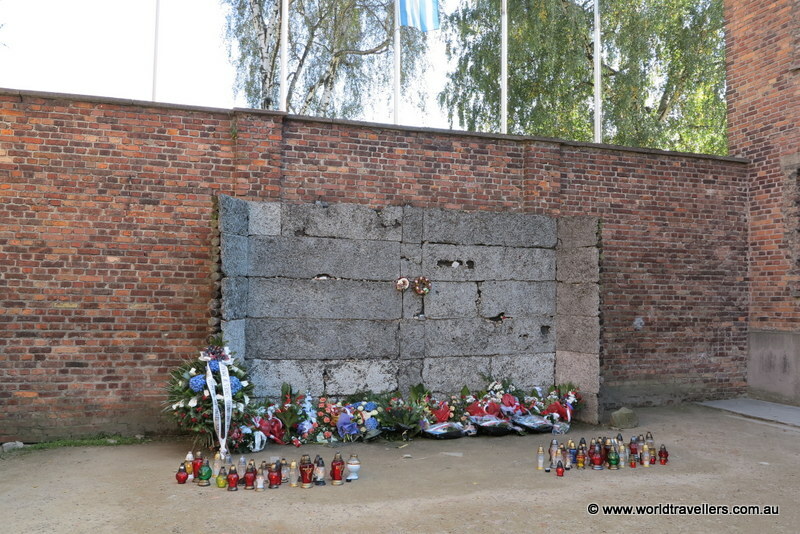 Mainly because of how much death took place within these walls. 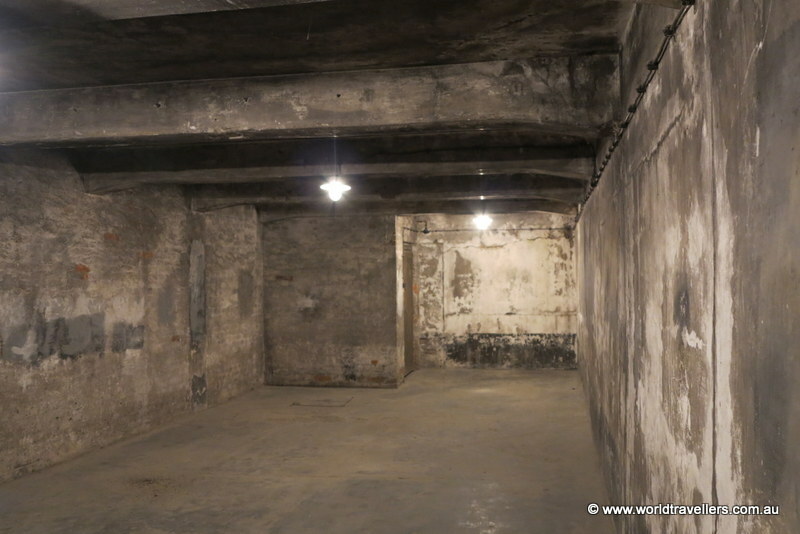 It is estimated that over tens of thousands of people were killed in these gas chambers. 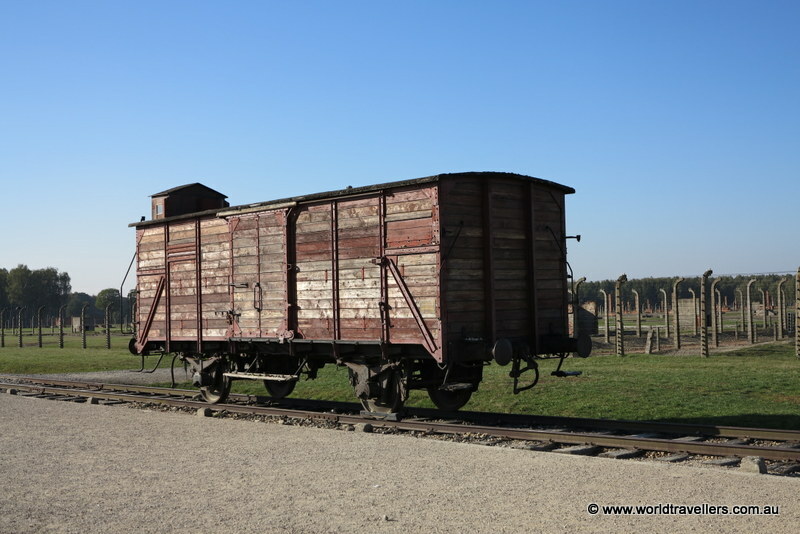 After our hour and a half tour through Auschwitz I, we had a 15 minute break before we caught a bus to Auschwitz II – Birkenau. 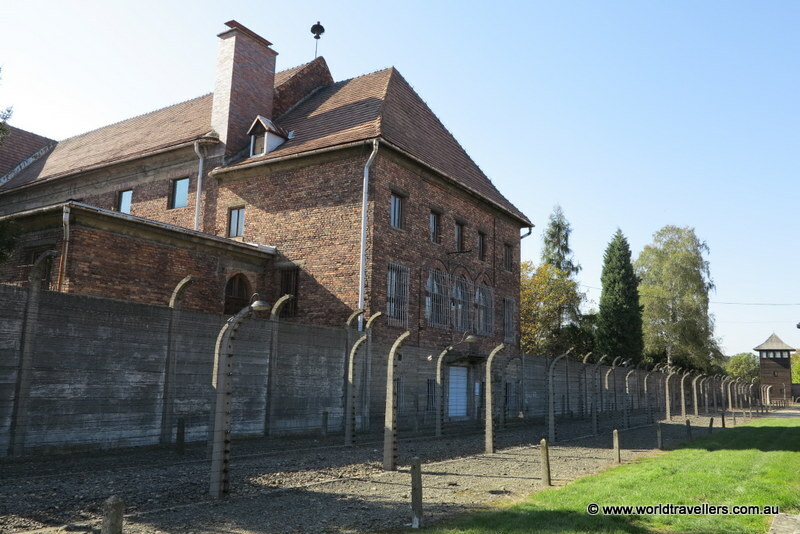 Auschwitz II – Birkenau was huge. 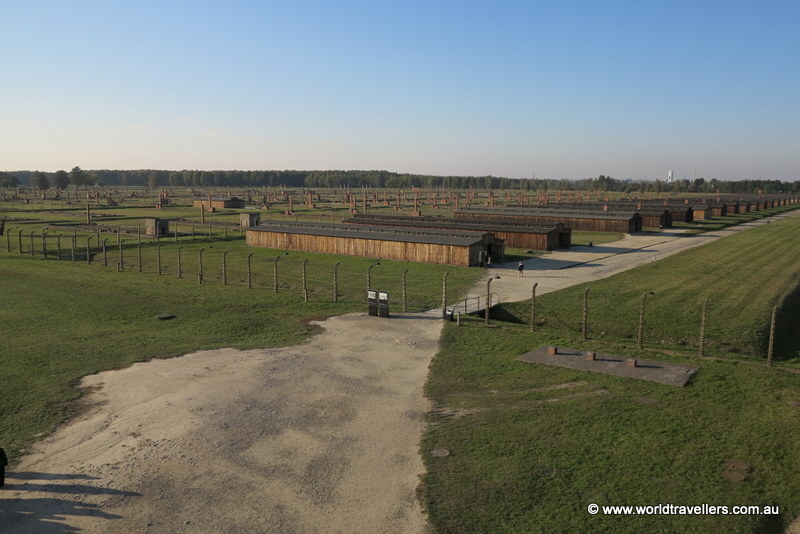 When you walk in through the main gates you can see the train lines down the middle of the camp and then on either side were wired enclosures that each contained a large number of sleeping quarters and at the end of the camp were the destroyed gad chambers. 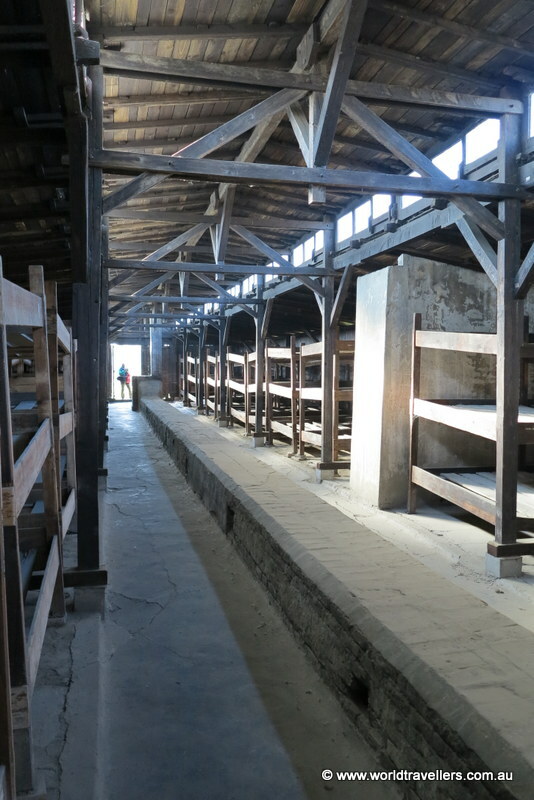 4-6 people had to share each layer of bunk beds.There were no mattresses, blankets, just the solid wood. 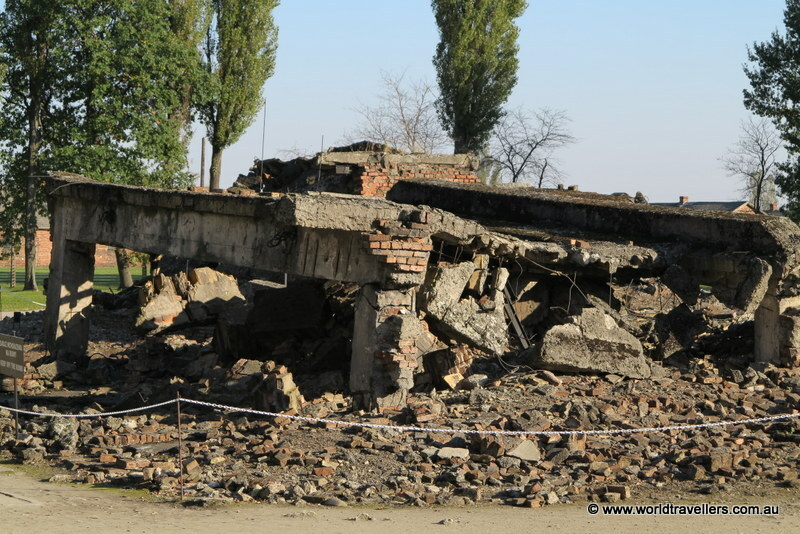 The four destroyed gas chambers here, were huge. 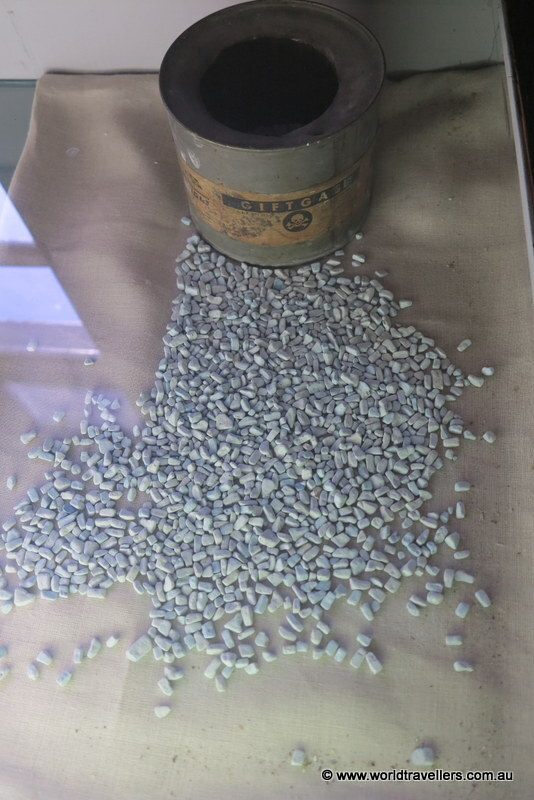 Up to 2000 people could be killed at one time and they were constantly being led in like sheep. The innocent people were told to leave all of their personal belonging out the front and to strip down for their ‘shower’. 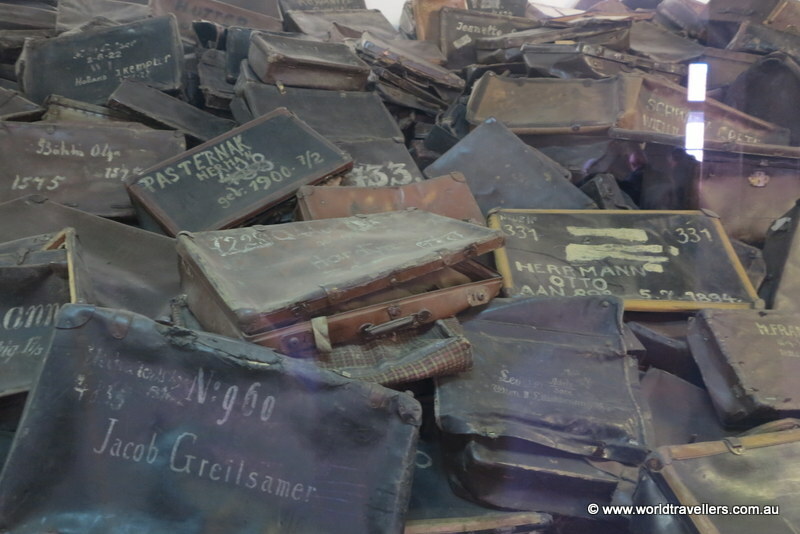 Auschwitz really was an upsetting place to visit, but I am really glad that we did. 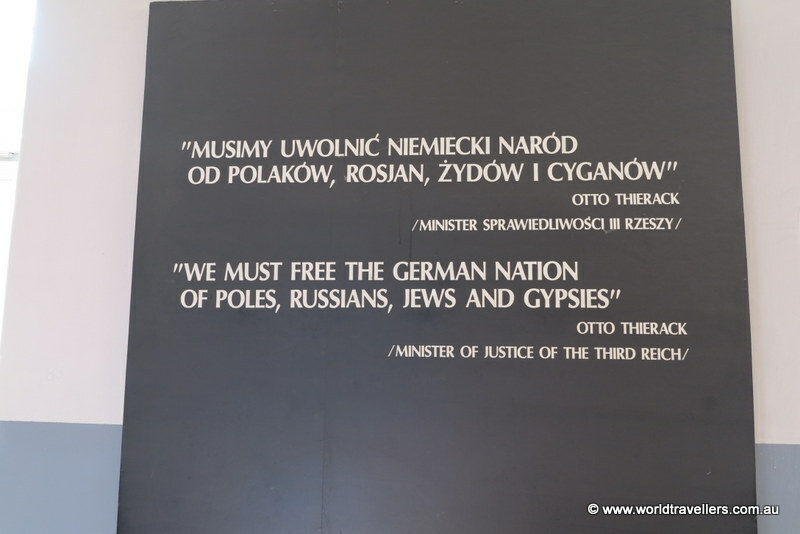 I think it is important for people to know what went on during the war and seeing the concentration camps and looking at the gas chambers and grounds, whilst listening to the history was better than any documentary or history lesson we had at school. 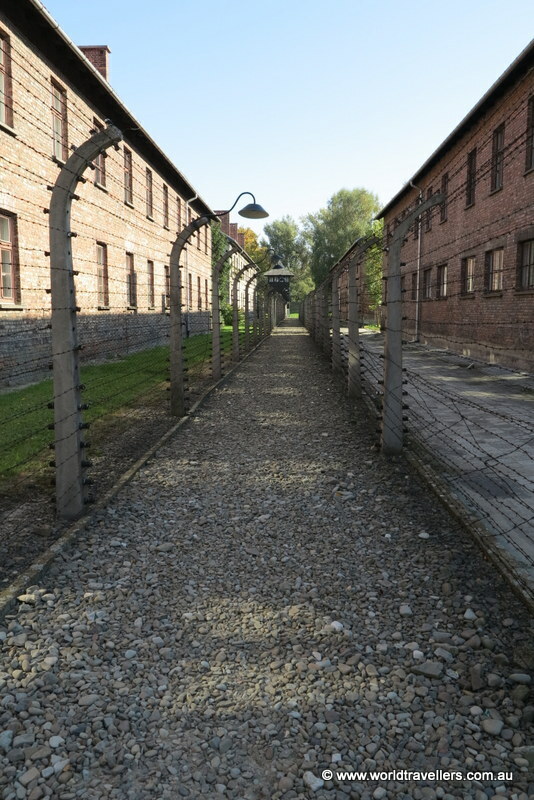 I highly recommend visiting Auschwitz and if you do please make sure you do both Auschwitz I and II as they are both very interesting and must sees.